All are encouraged to attend. If you own a 10 needle this is the group for you! Bring your question, concerns, completed project to showcase or if you need help with a particular issue. Come join us join us for our monthly breakfast club! Learn new tips and hang out with people that love doing what you do! ​Last year we donated over 500 stocking to two of our local churches. These Christmas stocking get filled with cookies and candy and bring smiles to under privileged children in our community. Come by on July 20th and help cut or sew a few stockings. Kick off will start at 11:30. This is a very easy bag to start with when you want to learn to sew. This satchel-like bag and the slim line​ shape makes it a useful pouch for paperwork and stationery. 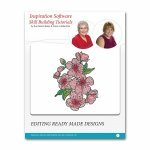 This ongoing series of workbooks will guide you on how to use Perfect Embroidery Professional Software. 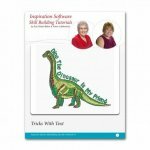 Not only will you become more familiar with the software features but you'll gain skills that will enable you to do more with your software and embroidery machine. This look combines comfort and fashion. From Judy Kessinger's fit nice book, this variation will be one of your favorites for the fall season. Achieve an interesting effect with a stripped or border print. The seaside top from Judy Kessinger's book is our next Fit Nice Variation class. 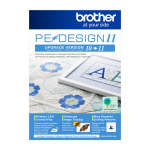 ​Design and embroider hats on the Brother multi or Persona machine, Learn tricks, tips and techniques that will get you perfect placements on any size hat. Lecture on hat embroidery on home embroidery machine will also be presented. This class will cover all features of the luminaire. We'll create a computer mouse pad using guideline marker and sub marker, add a monogram and use the projector to fine tune placement. This jacket is easy, fun, creative, wonderfully stylish and comfortable to wear. You may choose from optional contrast fabrics, embroidered additions, a variety of styles, embellishments and construction techniques. Making this a truly personalized art to wear jacket. Make a zippered pouch. Be amazed all piecing, lining, and zipper insertion are done in the hoop. Working with four patches and nine patches will perfect your sewing skills. This quilt is full of both turned on point. Triangles, rectangles and blocks of my! Use the printed panels or choose your own fabric to make this large zipper bag for all your magical stuff. Two outside pockets and more inside pockets keep everything organized. Structural​ stays keep it in shape. We will even help you cut it out. This class will teach you all the basics for making your first quilt from start to finish. From pressing to borders you'll learn it all. Whether you've never made a quilt before or you want to freshen up on the fundamentals, this class is for you. 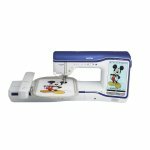 ​Do you like to sew? Do you like to quilt? Participate in making quilts of valor to honor deserving veterans who have been touched by war. Come join the local Tri City QOV organization! Join our fun and friendly group for the Sandy's QOV sit and sew tribute and give back to the folks who protected us. Welcome to the Scan & Cut Canvas Skill Builder class! During these classes we explore the Scan & Cut Canvas program and how to make the most of your Scan & Cut machine. In this first class we start from the very beginning, how to operate your computer. 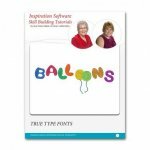 Together we learn how to navigate your file systems, how to download, computer terms & lingo, and soooo much more! Welcome to the Scan & Cut Canvas Skill Builder class! 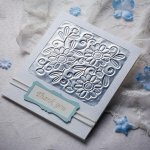 During these classes we explore the Scan & Cut Canvas program and how to make the most of your Scan & Cut machine. In t​his class we begin to explore the Canvas Workspace App. Enjoy creating this trivet, embellished with elegant Dresden designs. This trivet looks sophisticated and intricate ? but this traditional quilting pattern has been created for embroidery to be will be fun and effortless. You?ll learn how to applique using your embroidery machine featuring two different techniques and two different stabilizers or 505 Adhesive spray. Learn how fun and easy making a project in the hoop can be! 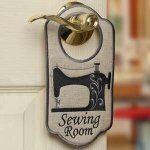 This door hanger is a creative way to let people know where you sew! The entire project is made in the hoop, and you can apply what you learn to other in the hoop projects! Smaller than a traditional table runner, this serving strip is designed to be used in the center of a table or buffet as a place to set hot serving dishes. Simple piecing and quilting-in-the-hoop techniques make it quick to stitch and fun to make. Learn about thread selection, hooping methods, and suitable designs for in-the-hoop quilting as you stitch this useful item for your home. Finished size: 9? x 29?? Learn how to create smooth curves with some of your favorite fabrics with this fun and modern quilt! Learn how to use your Serger in this 2 part instructional class. Learn the different types of stabilizers available. ​Learn why we need and how to choose the best stabilizer for your projects. Tips and tricks on using stabilizers.